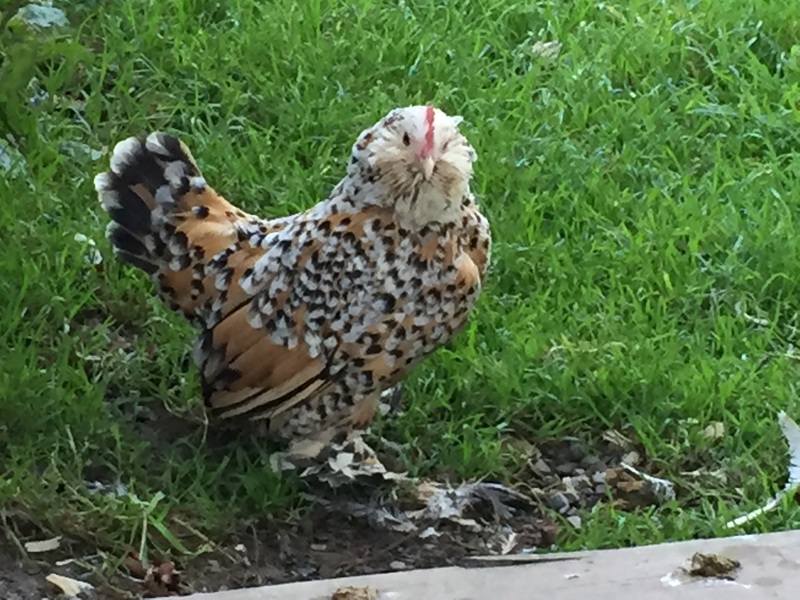 Best of Breed for bantam Mille Fleur d’Uccles hens at the NY state fair – meaning she was judged to be the best hen of her breed at the show. But that’s not all, she also won Best Variety Breed overall which compares the breed winners from the variety category of hens. She was then part of the Best of Show contest but came up a bit short (which is maybe to be expected for a bantam). Mille posing inside the coop. In the poultry barn, it was hard to tell which chickens had won awards – most didn’t display winning ribbons. The only indication for most of the winners was a small notation on their cage cards – in Mille’s case, a small BB and BV were on her cage card to indicate Best of Breed and Best Variety. We took her home. 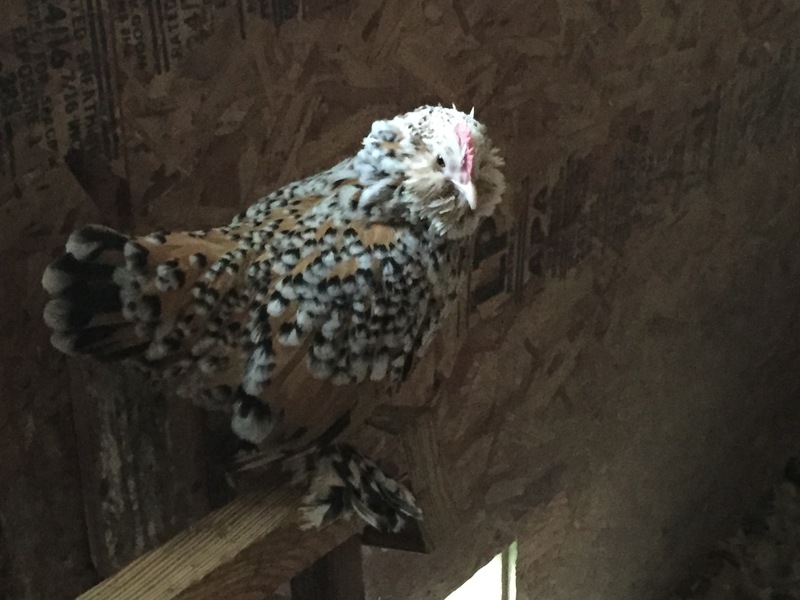 We wanted to make sure she had a fellow Mille Fleur in our home flock. 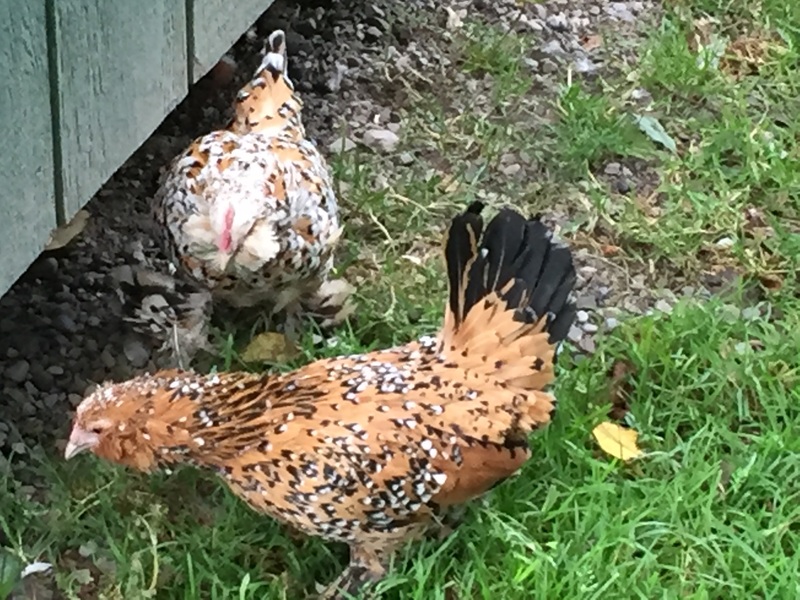 So we also picked up another hen, Fleura (pronounced Flora), from the fair at the same time. Fleura didn’t win any awards. 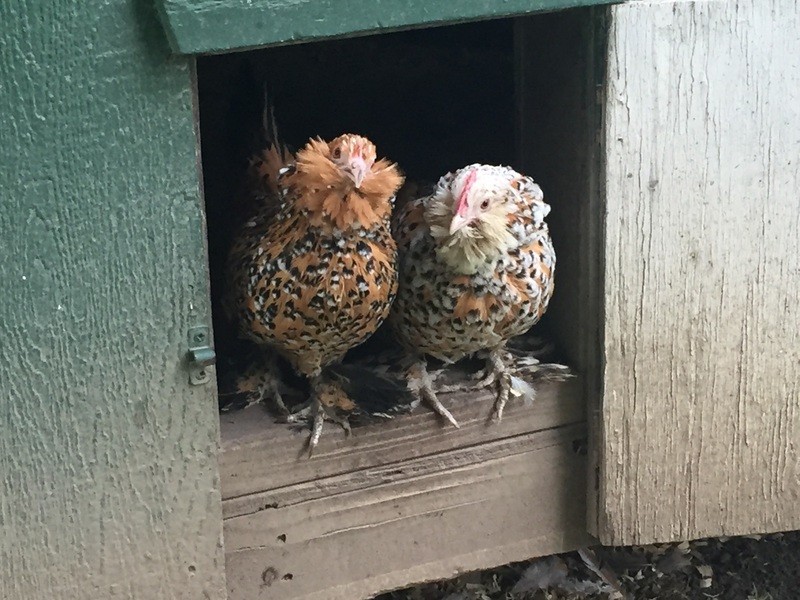 Mille and Fleura poke their heads out of the coop door. What is the $ premium for buying a champion bird? $0. Mille and Fleura were the same price. Mille and Fleura enjoying fresh air outside the coop. They are still a little scared of venturing too far away from the coop, but we are hoping that they will be more confident in the spring once the snow melts. This entry was posted in Animals, Chickens, Farm and tagged animals, chickens, farm by Dan. Bookmark the permalink.